Using Google Shopping Data To Build Out Your Google Ads Account - Take Some Risk Inc.
How would you like to scale and grow your Google Ads account faster? Today I’m going to show you how we tripled the conversions coming in for an ecommerce client within 60 days. My name is Duane and hello from beautiful Vancouver. You may remember me from such conference stages as MozCon, BrightonSEO, HeroConf and SMX Advanced. 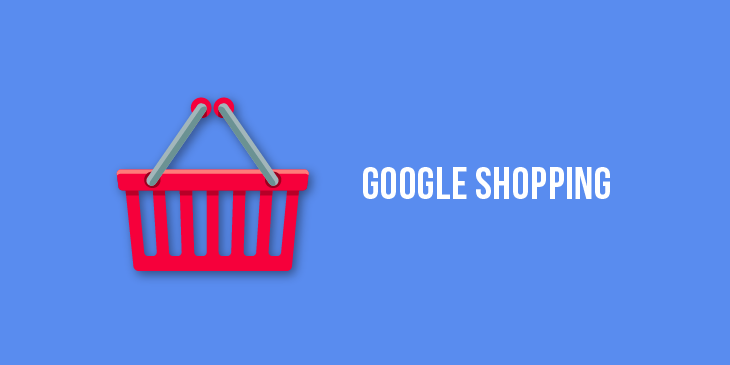 Today I want to talk about using your Google Shopping data to build out the rest of your Google Ads account. We took on a new ecommerce client in March 2018. The client makes toys and products for young people and kids with autism or who are on the autism spectrum. Expert Ecom Agency Take Some Rick Inc.
All of these ad groups and keywords that the other agency did sound great. The list of keywords was exhaustive and, when I look at them, a lot seemed correct and what people might search for if they wanted to buy toys and products related to autism needs. A good 90% of these keywords never got a single impression, let alone a click. This meant our client received 38 conversions over Jan and Feb 2018 (59 days). A conversion for this client is a sale of a product on their site. No downloads, no lead gen. A ‘money in the bank sale’ is the only real conversion that matters for an ecommerce brand. To build out my campaigns, I took all of the Google Shopping data from January 2017 – February 2018 and ran it through the N-Gram script. An n-gram is a phrase made of n words: a 1-gram is a single word, a 2-gram is a phrase made of two words, and so on. For example, “this four word phrase” contains three 2-grams (“this four,” “four word,” “word phrase”) and two 3-grams (“this four-word” and “four word phrase”). The script adds up the clicks, impressions, cost, converted clicks and conversion value of each query containing the n-grams — and calculates the click-through rate, cost per click, conversion rate, CPA and value/cost — so you can see their impact. As I’m setting up the script, I put my settings to look for n-grams that are 2 to 4 words long. I find that usually covers all exact match, phrase match and broad match modifier keywords we will need for an account. We don’t tend to use broad match unless it makes sense for a client. If you find people use longer long-tail search terms, then you can go to 5 or 6 n-grams for your report. When you run the report, you may see one of a dozen tabs like below in excel (not real client data). The script will look at data from a campaign, ad group and keyword level and give you a tab for each view. Think of it as an advanced search query report. You can also tell the script to only look at some of the campaigns in your Google Ads account. One reason to have a consistent naming structure in your account. In our case, we said only look at shopping campaigns for the past 14 months. After spending a few days looking over the data and trying to understand how this audience searches for products, this client has two audiences; parents buying for their kids and young people who may be shopping for themselves. Understanding how this audience shops & searches online and what products they have been buying over the last year was critical to this account rebuild. Over the next 60 days, the client saw 102 conversions and became even more profitable as we were able to lower their cost per acquisition (CPA) as well. We reinvested the money into a Dynamic Search Ads (DSA) + Remarketing List for Search Ads (RLSA) campaign that helped the client increase the number of customers purchasing on their site…without needing to increase their Google Ads spend. Treat your clients money like it’s your own. The work wasn’t easy but with a process of looking at the right data and taking the time to find the signals in the noise, we have been able to double the client’s business overall and have half their business come from search campaigns. This way the client is not solely reliant on having all purchases coming from shopping campaigns. One other benefit of doing the above work, we found search terms bubbling up related to B2B search intent. We used that data to successfully pitch the client on letting us bid on B2B search terms and drive that to the work section of their site. This is a brand new initiative for the client as the last two agencies didn’t find this opportunity in their account. We are now thinking about other platforms where we can grow their B2B revenue, which represents a large opportunity. That is it for this week. See you next time.